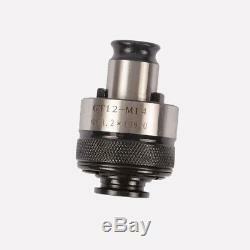 BT40-GT12-110 tapping collet set BT40 Collet Chuck Tool Holder workholding package include: Holder : BT40-GT12-110 tap collet: M4 43.15 M5 54 M8 6.35 M10 86.3 M12 97.1 M14 11.29.6 M16 12.510. We are a factory, the production of any types of the handle, if you need more models please contact me. We have the inserts, taps, alloy drills, alloy milling cutters , HSS milling cutters, HSS drills and so on , all brand CNC cutting tools sell at low price. There are still some models which not listed at our store, if you need more items, you can send messages to us. We sell these brandsFEETE, GUHRING, Dorma, OSG, YAMAWA, Sandvik, Walter Kennametal, ZCC. CT, ISCAR, MISTUBISH, korloy, KYOCERA, Taegutec and so on. Sandvik inserts: 880 Series, R245 Series, R390 Series, CCMT series, CNMG series, WNMG series, RCMT series, RCMX series, TCMT series, VNMG series, TNMG series, SNMG series, WCMX series, SCMT series, VCMT series, TPMT series, 345R series, 490R series, 590 series, 790 series, R365 series, etc. Thank you for your support! We are factory of Carbide milling cutter, alloy drill, turning tool holder. 200× 25R0.8 Indexable Insert APMT1604PDER-M2 VP15TF Carbide Inserts APKT1604 152476068104. 200× 25R0.8 Indexable Inserts APMT1604PDER-H2 VP15TF Carbide Inserts APKT1604 152638428151. 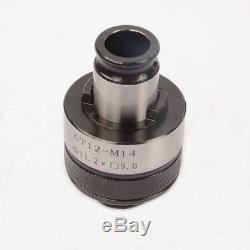 10pcs S10K-SCLCR0610mm125mmHOLDER + CCMT060204 VP15TF × 10pcs 152640669158. 5pcs BT40 APU16 120 CNC Milling Chuck Holder Milling Workholding BT40 APU16 120 152639554853. 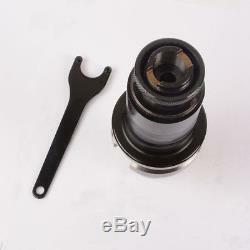 2pcs S10K-SCLCR06 (10×125mm) Internal Lathe Turning Tool For CCMT0602 152640702082. 150pcs WNMG080408-MA US735 / WNMG432MA For steel parts, stainless steel cast iron 152638345317. 100pcs WNMG080408-MA US735 / WNMG432MA For steel parts, stainless steel cast iron 152638343913. 10× S08K-SCLCL06 +10× S08K-SCLCR06 + CCMT060204 VP15TF ×20 pcs +T8 wrench ×20pcs 152640652515. 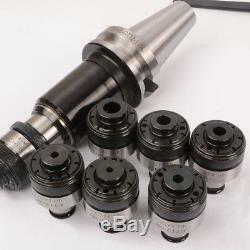 S06K-SCLCR06 INDEXABLE BORING BAR SHANK 95 Degree CNC Lathe + 2pcs CCMT0602 152640680135. 30pcs 16ER 3.0 ISO SMX30 High quality used for steel, process of stainless steel 152639823003. 10PCS S08K-STUCR09 8x125mm Lathe Turning Tool Holder Boring Bar For TCMT0902 152639791067. 10 PCS T15 Plum wrench / red flag wrench / knife wrench 152639604508. 1pcs Metric Right Hand Die M50X1.5mm Dies Threading Tools 50mmX1.5mm pitch 152111240402. 1pcs Metric Right Hand Die M52X1.5mm Dies Threading Tools 52mmX1.5mm pitch 152111205080. 1pcs Metric Right Hand Die M50X1mm Dies Threading Tools 50mmX1mm pitch 152111243419. 10pcs Superior quality SEHT1204AFFN-X83 H01 Used for Aluminum. 200pcs MGMN400-M NC3030 for steel parts processing inserts, 4mm grooving inserts. KM12 50-22-4Fmilling cutter+ SEHT1204AFSN-X45 BP010 × 10pcs + BT30 FMB22. 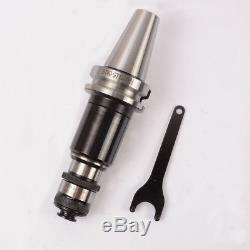 Al 400R-80-22-6F + NT30 FMB22 CNC Indexable Face End Mill Cutter. 100× DNMG150404-TF DNMG441-TF IC907 CNC carbide alloy inserts. 2pcs VCGW160412 PCD30 VCGW 333 PCD30 Used for Aluminum INSERT. EMR 5R63-22-4F milling cutter + RPMT10T3M0E-JS VP15TF + NT30 FMB22 rod, handle. 100× TNMG220408 NN LT10-PVD insert TNMG432 Steel stainless steel cast iron. Right Die M20X1.5+221.5+221+241.5+242+271.5+272+221.5+221+161.5+181.5. 1pcs Metric Right Hand Die M32X2mm Dies Threading Tools 32X2mm pitch. 1pcs 7/8 - 20 HSS Right hand Thread Tap 7/8 - 20 TPI (S). (2PCS) G 1/4 - 19 TPI BSP Parallel British Standard Pipe Die G1/4. 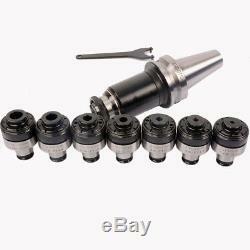 The item "BT40-GT12-110 tapping collet set BT40 Tool Holder workholding with 7pcs collets" is in sale since Thursday, May 31, 2018. This item is in the category "Business & Industrial\CNC, Metalworking & Manufacturing\Workholding & Toolholding\Toolholding\Boring Tool Holders". 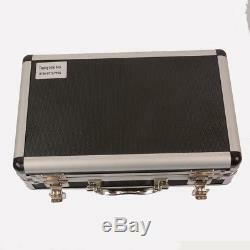 The seller is "4-68086" and is located in Jiangsu Province. This item can be shipped worldwide.